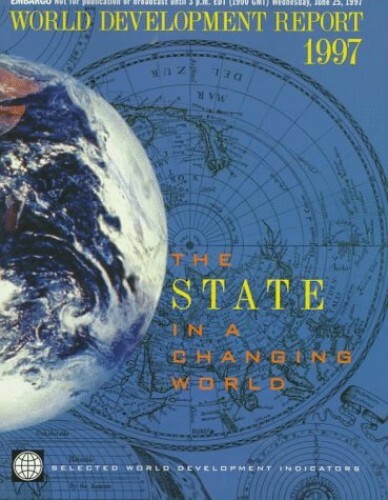 The twentieth annual edition of this report, focusing on the role of the state in a changing world. It shows where the world bank believes the state has a role in the provision of goods and services and where it thinks development would be better served by leaving the task to the private sector. This is the 20th annual edition of the World Development Report. It is a standard reference work for international economic data. This edition focuses on the role of the state in a changing world. It shows where the World Bank believes the state has a role in the provision of goods and services and where it thinks development would be better served by leaving the task to the private sector.